You see this page because you clicked on the download button of RollerCoaster Tycoon Touch from our website. Below are the download URLs, please select the download URL of RollerCoaster Tycoon Touch and the download method is suitable for your device. RollerCoaster Tycoon Touch MOD APK is ready to download! 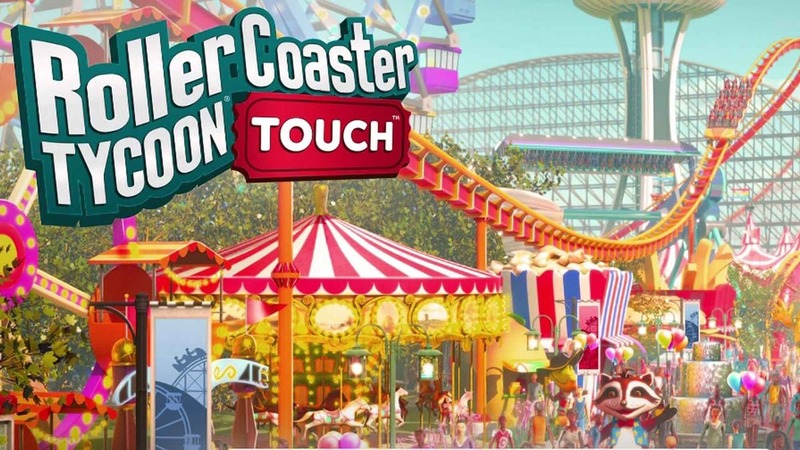 Depending on your needs, you can download RollerCoaster Tycoon Touch MOD APK or RollerCoaster Tycoon Touch Original APK. Or install from Google Play / App Store if you want. RollerCoaster Tycoon Touch supports for Android 4.4, iOS 9.0 with a minimum requirement of 46M of free memory. We will not be held liable for any damages as a result of the download RollerCoaster Tycoon Touch. If there is a problem with the broken link, cannot download RollerCoaster Tycoon Touch, please report to our webmasters. Thank you! When I was a child, I was taken to the amusement park by the parents on weekends. There are lots of fun, games like bumper car, roller coaster, ghost house, riding horse… Have you ever thought you would build your own amusement park? Make your dream... . Readmore about "RollerCoaster Tycoon Touch" here. Try open Play Store -> Click Install RollerCoaster Tycoon Touch and wait for some seconds, then Cancel. Final, Install the modded APK. You must download both APK and OBB. UnZIP OBB File (com.atari.mobile.rctempire.zip) to Android/obb.